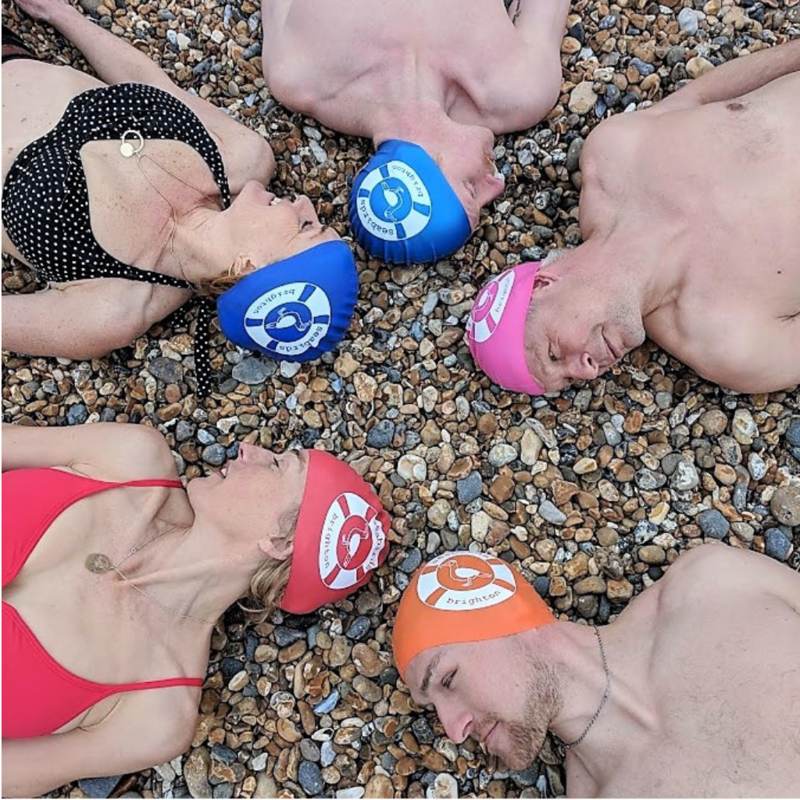 50g Silicon Swim hats to keep your head warmer while you swim in sea, pool, lake or lido. 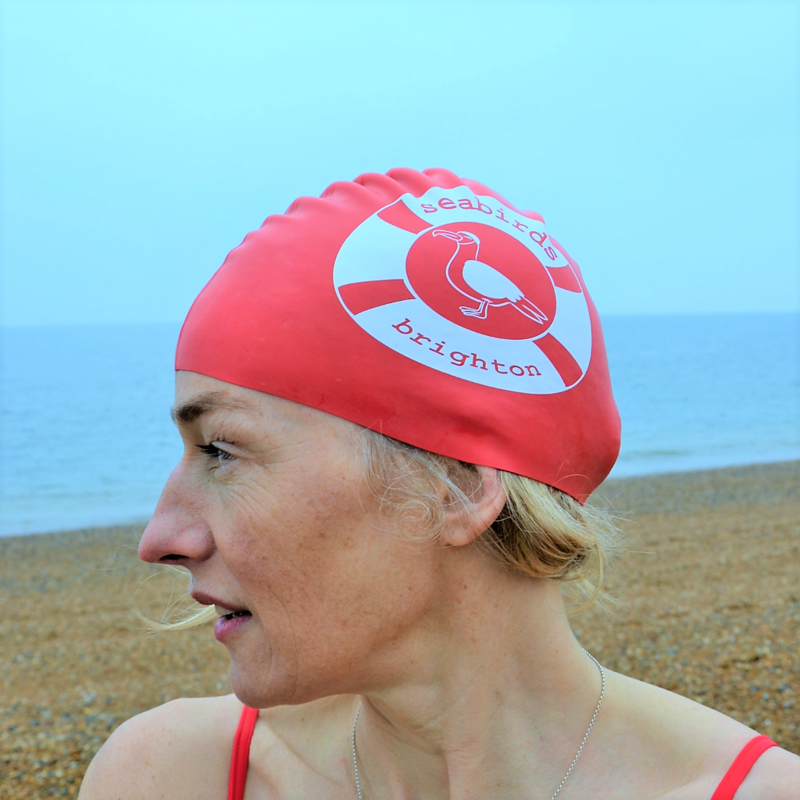 5 colours and all with our fabulous Seabirds Brighton logo in white. Essential kit as the temperature drops. You may even find you need two (to wear at the same time) like we do. 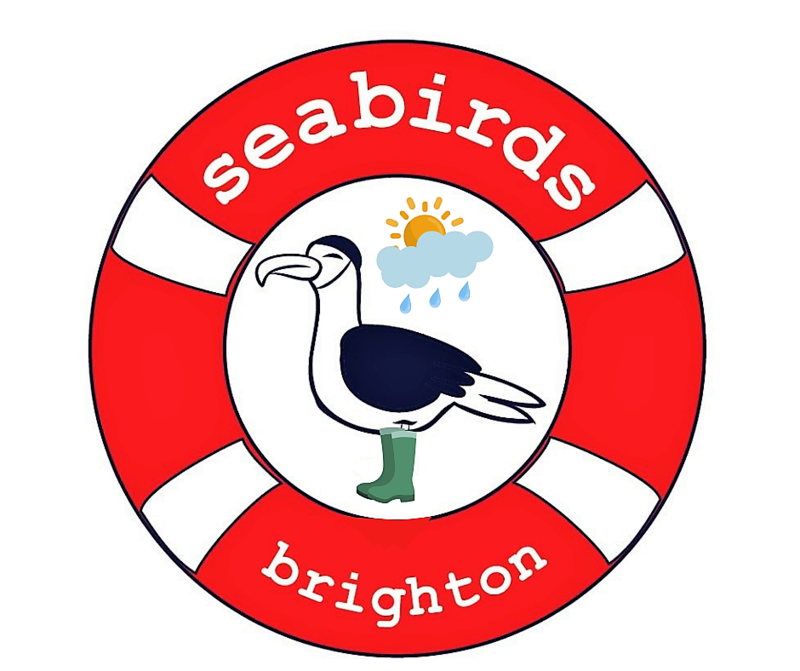 Seabirds Ltd are sea swimmers in Brighton. 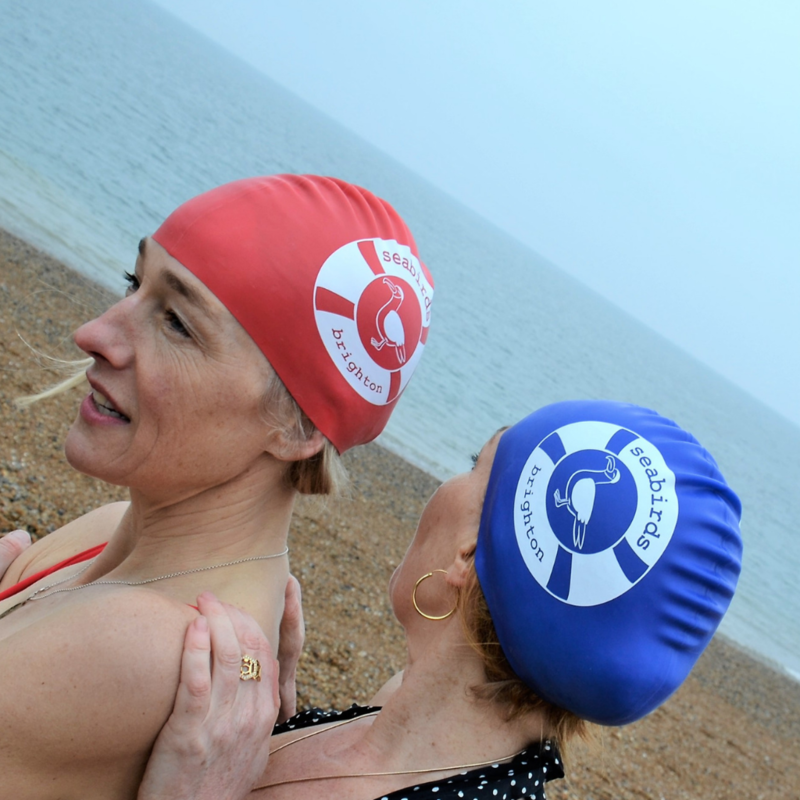 We supply the kit you need to keep you going into the water wherever makes you happy. We give our profits to local charities that are sea based. Please note: Any orders made before 2nd November 2018 will be shipped early November.